It has been a long day but we are finally here in Israel. 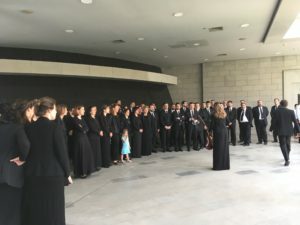 All of the participants are happy, safe and feeling the connection with Israel. We arrived in Tel Aviv and were met by the guides. 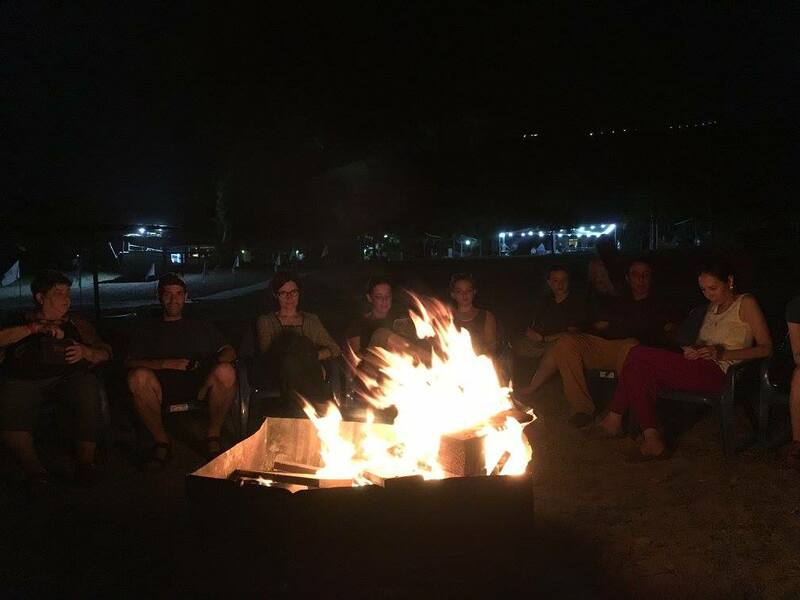 We then traveled by bus to the Galilee where we are staying at the Ein Gev Kibbutz. All along the way our guide Lior, pointed out historic sites and shared history of the region. After settling into our rooms, we made our way to the Kibbutz dining hall for dinner (where we celebrated being in Israel with a special L’Chaim) followed by a campfire on the shores of Yam Kinneret (Sea of Galilee). Tomorrow is a busy day, Rosh HaNikra on the Israel/Lebanese border to go Jet Boating. Afterwards, we travel to Tzfat (Safed) to experience the mystical city and then we will explore the Golan Heights on All Terrain Vehicles. Enjoy the attached pictures. 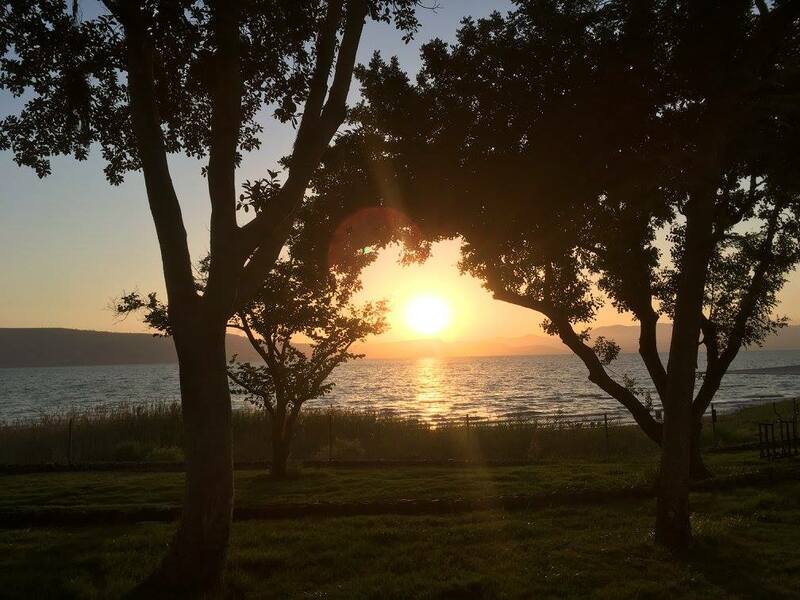 Laila Tov – Good night from Israel. Arriving at the famous King David Hotel, you immediately knew that this was not an ordinary Shabbat. Security was tight and each person entering was checked and double-checked. This was due to the fact that on Monday, President Donald Trump will be staying at the very same hotel I was celebrating Shabbat with our Premier (unfortunately the Premier is being kicked out of the hotel in deference to the President). After being allowed to enter, I felt right away that I was in an oasis of Quebec and Montreal. Our Premier, Philippe Couillard is leading a delegation to Israel to bolster trade and collaboration with business leaders from Quebec. He is the first sitting Premier to take such a step. He should be congratulated for his efforts to support Israel and to not give in to the BDS movement that seeks to hurt Israel and weaken trade with the West. The Premier spoke (while wearing a Kippa) about how wonderful it is to be in Israel and to support the country. He commented about his willingness to take the trip in spite of certain elements that may frown on it, “because I would rather lose in the polls than to compromise on what I believe in – I believe in the State of Israel and want to support it in any way possible.” I felt a great sense of pride being with him and hearing such positive words about Israel. 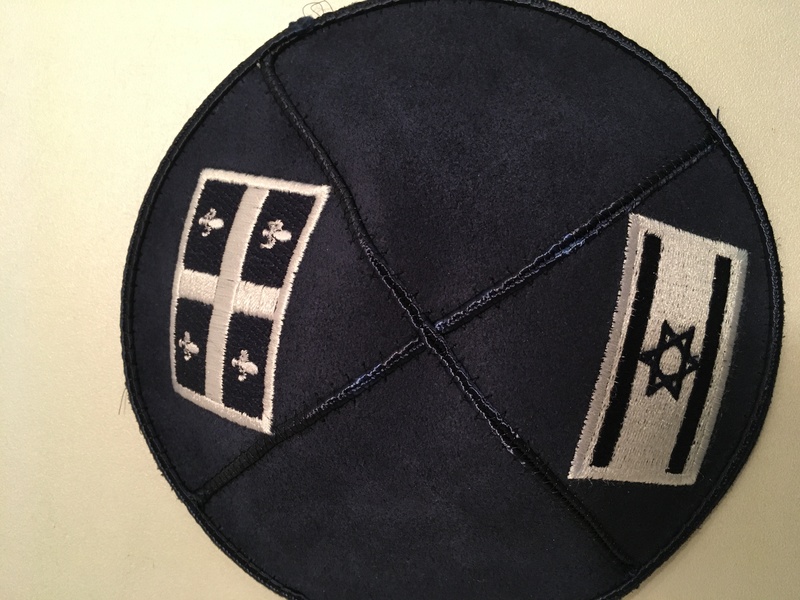 On Monday I will have the opportunity to spend an hour with the Premier at the Hand in Hand School and look forward to hearing from him his thoughts and impressions on Israeli society, culture, education and how he and I can collaborate in the future with the Jewish community in Quebec and Beth Zion Congregation. 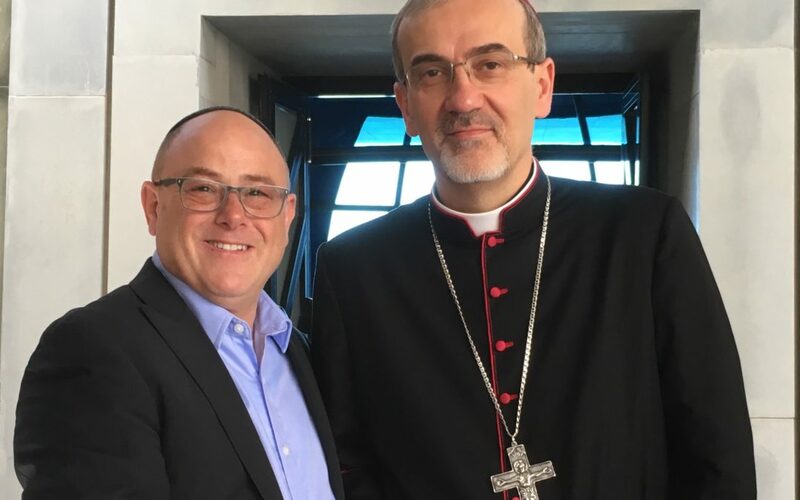 There must be a joke that begins with, “Rabbinic leaders from 36 countries, accompanied by Cardinals, Bishops and Priests from as many locations, walk into a bar…” I haven’t heard the joke yet, but if anyone has, please share it with me. Attending this conference with Cardinals, Bishops and Rabbis, representing Beth Zion Congregation and all of Canada, has been an amazing experience. I had the opportunity to sit with the Chief Rabbi of India and hear about the challenges he faces. I also spent time talking with the Bishop of Kuwait, Qatar and Saudi Arabia who does most of his work in secret. Last night I ate dinner with the delegation from Pakistan and davened this morning with the Chief Rabbi of Peru. This is truly an international event. 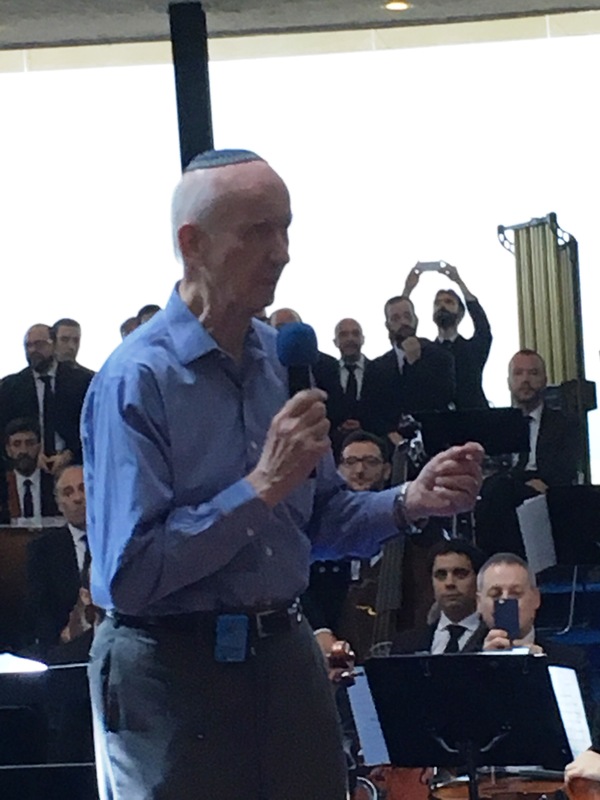 Among the many speakers that have spoken was Rebbetzen Blu Greenberg (scholar, author and wife of the well known rabbinic leader, Rabbi Yitz Greenberg). She was asked to speak on the topic, “How to share our values with our children.” Something that leaders of all faiths struggle with. Another session discussed dwindling attendance at religious institutions and how to address our modern – open society. These are issues that we can all find common ground discussing. Of course there are difficult issues that have been raised by leaders of both faiths. Can we get past thousands of years of Christian persecution towards the Jewish community? How can we work together collaboratively with trust and not project on the other an alternative agenda. These are not simple questions – our national historical relationship with the church has been written with much spilled blood. I will not return with answers to all of these questions, however I look forward to exploring these questions at a later date in Montreal at Beth Zion. 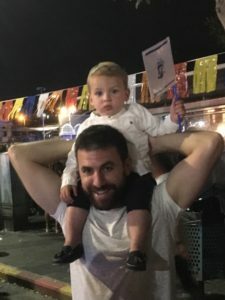 I want to close by sharing a short list of many of countries who have sent either their chief rabbi or senior rabbinic leaders: Mexico, Panama, Nicaragua, Peru, Uruguay, India, Brazil, Chile, Austria, France, England, United States, Canada, Holland, Poland, Italy, Ukraine, Germany, Portugal, Spain, Israel, Kenya, South Africa, Luxemburg, Australia, Cameroon, Japan and several other locations. I didn’t even know that there were Jewish Communities in many of these locations. Looking forward to updating everyone tomorrow. 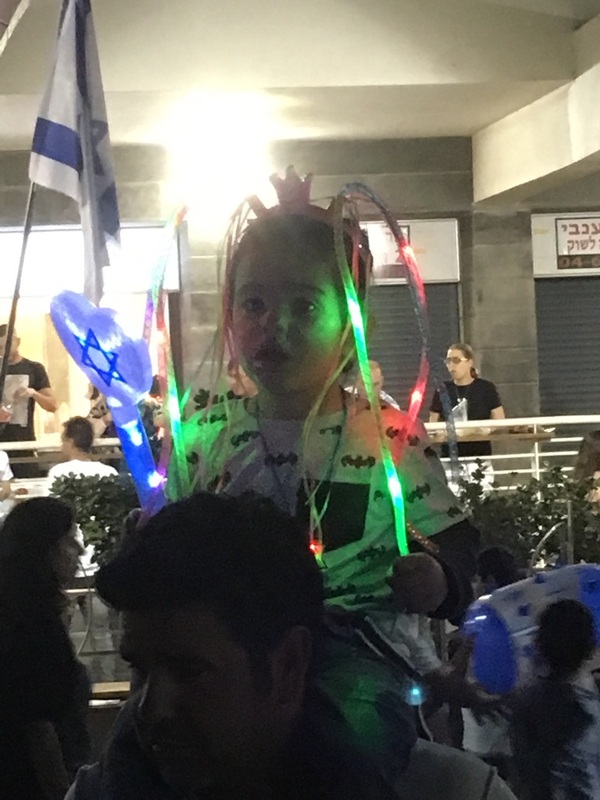 Last night I decided to see how the city of Tevaria (the conference is being held nearby) celebrates Yom HaAtzmaut. Not knowing where to go or what to do, I jumped in a taxi and simply asked, “Take me to where the celebrations are going on.” We arrived a few minutes later in the center of town where the streets were closed and the entire town square was full of thousands of people celebrating our 69th year of independence. Children were running around blowing bubbles and twirling coloured lights, while their parents listened to live concerts and feasted on Israel’s national food – barbeque. I stood there soaking up the energy and the excitement of the most resilient nation in the world. Even when there are countless enemies out there who threaten to wipe us out, the people know how to appreciate and celebrate what they have – a homeland. In Montreal each year we have our own special celebrations. 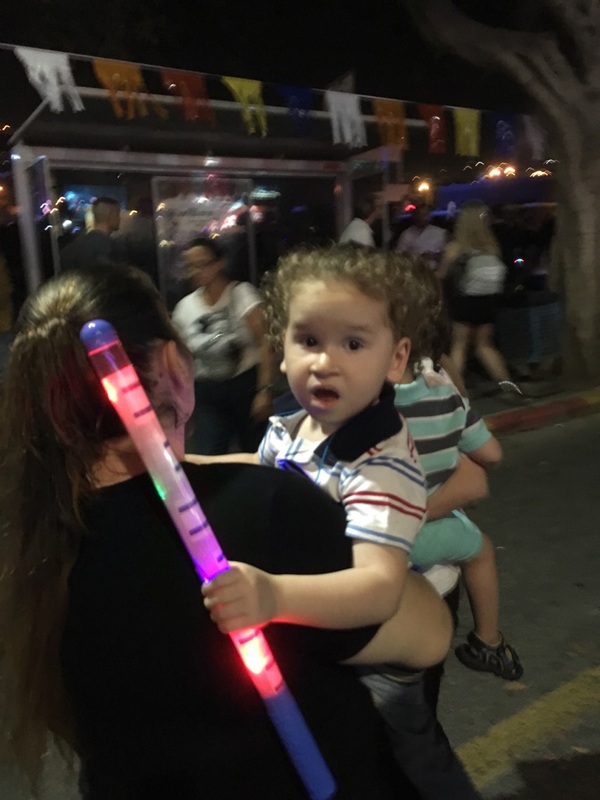 Evening events with Kollel Torah Mitzion and a community rally at Philips Square. At Beth Zion, during our services this morning we recited the Hallel prayer, recognizing the miracle of having or own country. What an honour it was this morning to recite Hallel in the place that we in Montreal focus our celebrations and prayers towards. I will write more lately about the amazing ecumenical conference I am attending; however for now I want to wish everyone a Chag Sameach! May we have the opportunity one day to celebrate Yom HaAtzmaut together in Israel. 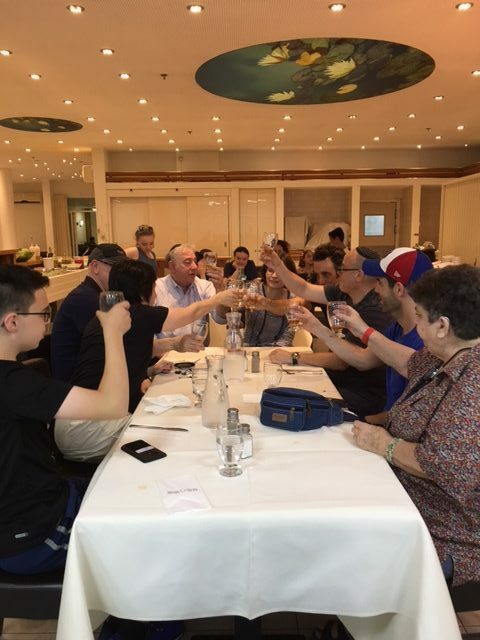 We arrived in Israel at 10:00 am Monday morning, May 1st. As soon as we got off the plane you could tell that today was a different. Anyone who has ever travelled to Israel is used to seeing soldiers everywhere. Today however, they were all dressed in their more formal, “dress uniforms.” There was also a more sombre atmosphere in the air, with all of the flags being flown at half-mast. Today is Yom HaZikaron, the day when Israel and world Jewry remembers the brave men and women who made the ultimate sacrifice so we could have a place to call home. Today we mourn 23,544 fathers, sons, mothers and daughters (we added 97 more names in the past year). 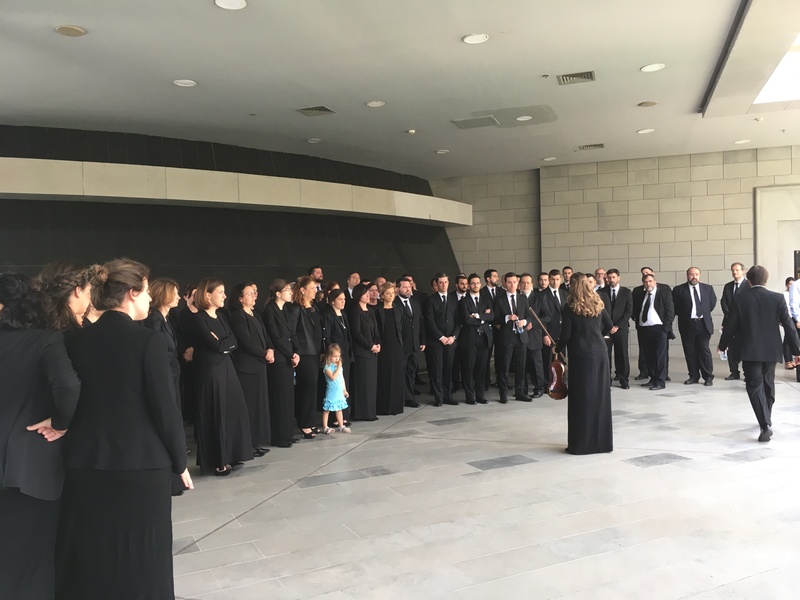 As 11:00 am drew near, people started to nervously wait with dreaded anticipation for the traditional air-raid siren that sounds thought Israel that marks the minute of silent reflection. I was still in the airport, one of the busiest places in Israel and the instant the siren went off, everything stopped. There was no movement, parents held their children, porters stopped carrying bags and the conveyor belts that whir constantly delivering luggage to those waiting anxiously for their bags, ground to a halt. The same scene was playing out throughout the country. Cars on the highway stop wherever they are and the drivers get out and stand in solemn attention, not only paying tribute to the fallen soldiers, but feeling a sense of solidarity with Jews of every walk of life who were doing the same thing – showing appreciation to the young men and women who nobly gave their lives. I haven’t been in Israel for Yom HaZikaron since 1990. And while in Montreal we recognize Yom HaZikaron, in Israel the day takes on a whole new meaning. 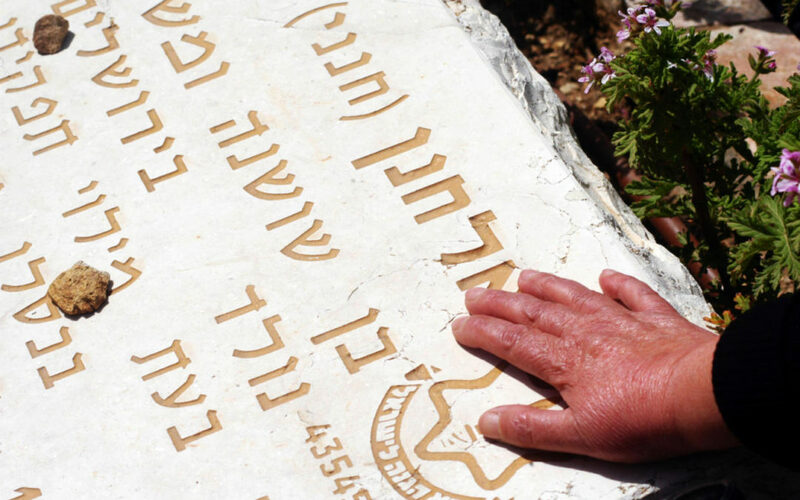 Yehi Zichram Baruch – May their memory be a blessing and a source of inspiration for all of us. May their families find comfort in the fact the they have never been forgotten. Am Yisrael Chai! I recently returned from Rome where I had the rare privilege of an audience with Pope Francis. Meeting the Pope is not a simple thing. Numerous levels of approval are required. It is necessary to have a valid reason. In my case, it was to meet with him on behalf of the Israeli Hand-in-Hand schools. Hand-in-Hand began in 1997 when two Israeli educators, one a Jew and one an Arab, decided to create a school that would have as its mandate an equal student population of Jews and Arabs. Its mission was to create a shared society where Arabs and Jews could go to school together, learn to appreciate that there can be two narratives to the same story, and, most important, allow the children to grow up as classmates and friends, and not as enemies. I believe in the mission of Hand-in-Hand and wanted to get the Pope’s endorsement for the organization. As a Canadian, I believe in the values of peace and respect. As a humanitarian, I care about people of all religions and backgrounds. As a rabbi, I believe it’s a religious responsibility to make this world a better place for all of mankind. This is why Hand-in-Hand calls out to me and why I have made it my life’s work to support its cause. During his visit to Israel in 2014, Pope Francis made an unscheduled stop to pray at the Israeli security wall. 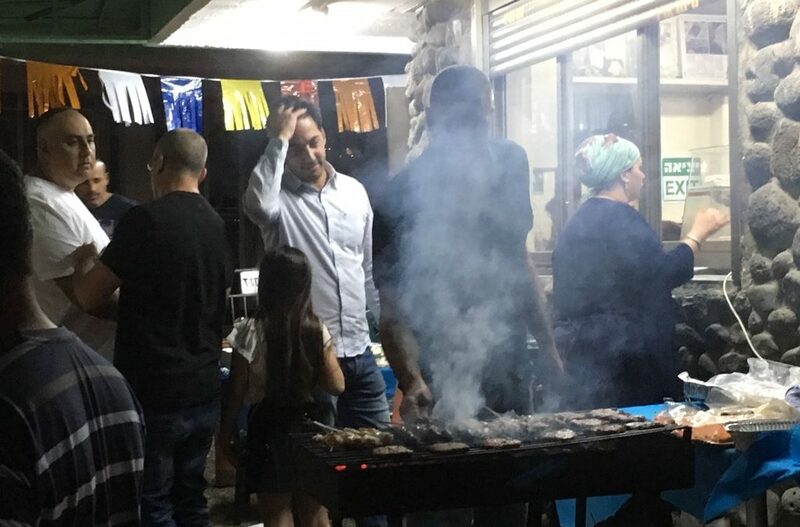 It was, as his aides conceded later, “a silent statement against a symbol of division and conflict.” However, many Israelis saw it as a propaganda stunt. Those who were offended by the Pope’s prayer should not have been. If anything, I agree with him. Every time I pass the security wall when driving in Israel, I also feel pain. Even though I view the wall as a necessary reality (as it has proven time and time again to prevent terrorism), it is still a symbol of pain and failure. It represents two sides that have not been able to build a lasting trust for one another and it represents the extreme sense of incarceration that many residents living on the Palestinian side feel by the mere fact that there is a wall locking them into a specific geographic area, something the Jewish nation has personally experienced much too often. A necessary reality or not, it is a painful sight. I met with the Pope because I want to make a difference in this world, and need the support of leaders of all faiths to do it. While there are currently six schools in Israel where Jewish and Arab children go to school together, there are 10 additional communities begging for such schools to be built. There are more than 1,000 children on the waiting list. The best word I can use to describe the audience with the Pope is “amazing.” He is a humble and gracious man who is willing to take strong positions about his beliefs. Seating me among the cardinals and the bishops during the General Assembly prior to our meeting was a sign of the esteem he shows to clergy of different faiths. His is a bridge-building church. 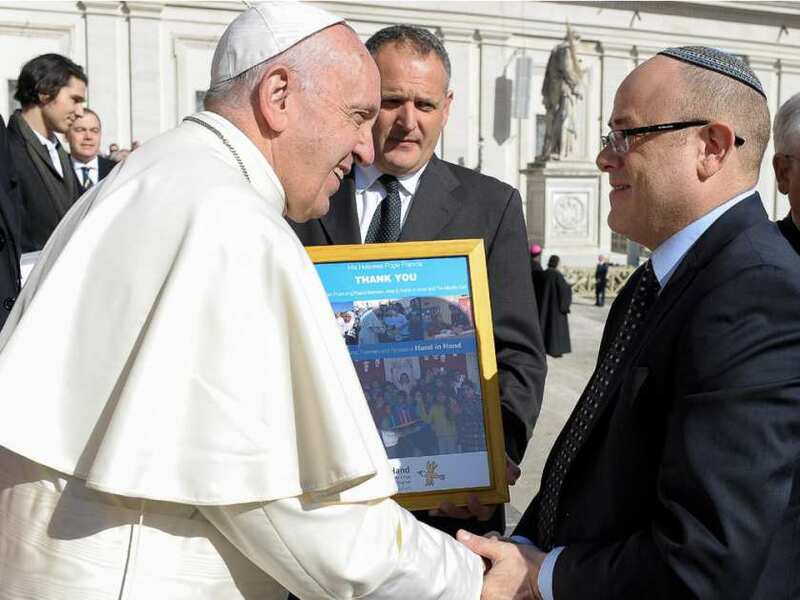 When I met with the Pope, we discussed the issue of Jews and Arabs living together in a shared society based upon mutual respect and shared goals. We also discussed the work of the Hand-in-Hand schools and the role the children who attend these schools will play in building bridges between the two groups in the coming years. The Pope offered strong words of encouragement. I walked away inspired. I hope to have future opportunities to meet with Pope Francis to discuss issues that are vital to both the Christian and the Jewish worlds. Knowing that we have a partner that represents such a large and powerful community can only be taken as a positive sign that there is a light at the end of our long tunnel.